As most readers are well aware, advances in healthcare are making it possible for men to live longer lives. The average life expectancy for a male in the United States in the year 2000 was 74 according to studies by the National Center for Health Statistics at the Centers for Disease Control and Prevention.9 However, the same agency reported that while Americans are living longer, they are not necessarily living better: They are overweight, physically lazy, and spending more money on healthcare than any other country in the world. Now, as never before, it's vital for older American men to attend to their health. Seniors can benefit immensely from the practice of yoga. If you're in your 60s or beyond, then it's time you should seriously consider incorporating yoga into your life. If you're in your 60s or beyond and already have a regular practice of yoga, you already know the value of yoga firsthand. For some men, yoga only begins in the senior years, when more traditional and physically demanding fitness and sports activities may place too much strain on the body. Because yoga can be practiced in an easy and gentle manner, it is ideal for individuals who may be suffering from lack of flexibility, poor range of motion, or other problems that come with older age. Yoga can help to promote flexibility and strength; increase range of motion in joints; and improve the functioning of the circulatory, immune, and endocrine systems. It can help promote enhanced functioning of the nervous system and the internal organs. It can help calm and relax, thus relieving anxiety and stress. The power of yoga to help balance and harmonize body and mind can also be an aid to such problems as despondency and insomnia, which often accompany older age. Many yoga teachers now, especially those schooled in the Iyengar approach to yoga (see Chapter 4), are adept at using a variety of props and accessories to help you attain positions you might not be able to achieve without added support. In addition, most yoga teachers can help you adapt postures to suit your particular physical condition—for instance, modifying the approach to some poses so that you can perform them against a wall for support, while seated in a chair, or even while lying on the floor. Many of the basic postures in "A Complete Yoga Practice Session for Men" can be of great value to older men. Of particular benefit are standing poses, such as Tree Pose (Fig. YPS.5a, b, and c) and Triangle Pose (Fig. YPS.4a and b), which help to increase stability while standing. Inversions, such as the Shoulderstand (Fig. YPS.12), can also be helpful in promoting good circulation and energizing the vital organs. Forward bending postures, such as Seated Forward Bend (Fig. 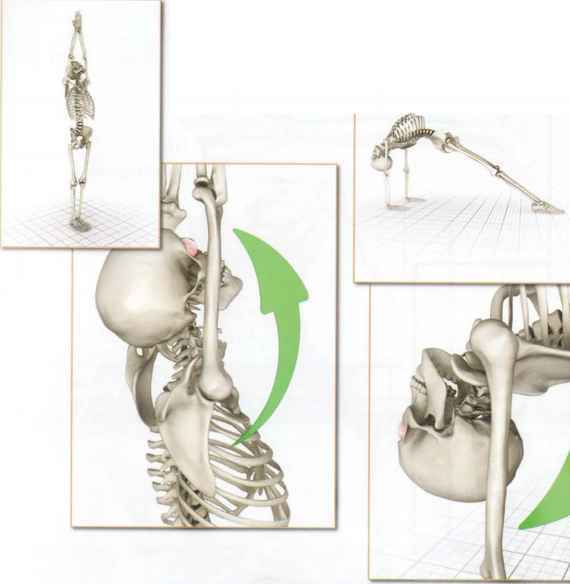 YPS.6), can help to lengthen tight back and leg muscles. As men age, it is especially necessary to be aware of any possible cautions or contraindications to yoga postures. In particular, any men with glaucoma or cardiovascular difficulties, such as high blood pressure or any other history of heart problems, should avoid inverted postures, as these postures tend to increase the flow of blood. Senior men, just as men of any age, should consult with their primary healthcare provider before undertaking any new regimen of exercise. Frequently, older age is accompanied by challenges to a man's health as well as to his outlook on life. Not only physical limitations, but also depression and anxiety can be part of older men's lives. The focusing practices of yoga can help older men gain greater clarity on their life situations—to accept themselves as they are. Often, the simple awareness and acceptance of one's limitations is a liberating experience, making many daily concerns slip by the wayside. The older man who has established a practice of meditation and pranayama in the early decades of his life will readily see how important these life tools are to him in older age, as well as younger. For men in their senior years, the emphasis on yoga may switch from the physical aspects of the practice to meditation and breath awareness. These practices can help older men become more relaxed and centered as they delve even more deeply into the essential questions of "Who am I?" and "Why am I here?" In India, traditions have developed that acknowledge a man's need to honor his quest for spiritual unfoldment. Some men choose to follow a time-honored custom practiced by older men: Once they have fulfilled thier "householder" duties, such as raising a family and providing financial security for their dependents, they renounce the world and leave their homes to wander the country as beggars—meditating and seeking enlightenment. A man who follows such a path might become a sadhu ("holy man," from the Sanskrit for "good" or "holy") or a sannyasin ("monk" or "ascetic," from the Sanskrit for "casting off"). You don't necessarily need to go to this extent to realize your true self. Yoga practices such as meditation and breath awareness can help to increase inner focus so that you can explore life's mysteries without ever having to leave the comfort of your own home. The "Suggested Further Resources" section can provide you with some valuable tools to accompany you should you wish to deepen your own personal spiritual journey with yoga.